Working with a hypnotist has become a popular and common choice to make rapid, positive changes in your life. Millions of peoples’ lives have been improved using this amazing tool of the mind, whether it’s someone you personally know or celebrities such as Ellen DeGeneres or Matt Damon. Hypnosis is a natural ability of the mind, and a hypnotist is a person who has learned the skills to direct you into the state and guide you through a process to affect positive changes. Still, not all hypnotists are created equal. Hypnosis is completely safe when practiced and performed by an experienced professional. Answers determine the level of professionalism. By asking these questions, you will be insuring the success of your sessions, and you will experience the positive changes you desire. 1.) Is your hypnotist professionally trained and certified? Your hypnotist should be a Certified Instructor and Board Certfied Hypnotist with the National Guild of Hypnotists, the leading national organization which provides professional certification for hypnotists. Many novice-hypnotists get the initial training, and do not stay active in the organization. An active member in-good-standing should be able to provide you with a copy of their up-to-date annual certificate, and the “best of the best” have taken the necessary steps to become Board Certified or professionally train others. Your hypnotist should also be trained and certified with the other leading Hypnosis organizations. Jason Linett is also certified through the International Medical and Dental Hypnosis Association and the International Association of Counselors and Therapists. You will receive the most complete and throrough process from a hypnotist with a well-rounded background in educaton. Many hypnotists get their initial training and stop there. Jason Linett attends national conventions and obtains specialty certifications on a regular basis to guarantee you the most effective, modern process. Evidence of continuing education is a must. 3.) Can you verify the hypnotist is insured? Hypnosis is a natural ability of the mind, but it is also our business. The professional hypnotist will be insured with a liability policy. The amateur will not typically make the investment to protect themselves or you. You can rest assured that we have professional liability insurance coverage for your protection. Our services are 100% safe, but it there for your peace of mind. To perform any kind of service or run a business without insurance is irresponsible and dangerous. 5.) Does your hypnotist offer a Free Confidential Consultation? The choice to work with a hypnotist should not be stressful; for that reason, we offer a Free Confidential Phone Consultation. During the consultation, we will identify your goals and custom-design the best program for your success. You will learn about hypnosis and become comfortable with hypnosis. We will answer any questions you may have. Call us at (703) 341-6655 Today for your Free Confidential Phone Consultation and start your journey to success! 2.) Is your hypnotist respected in their community and field? When considering your hypnotist, you must look for proof. If you’re dealing with an amateur, they may have very little, if anything, when it comes to proof. They should also be able to provide you with recent client feedback. Our office waiting area is stocked with books filled with letters from satisfied past clients. If you cannot find any evidence of who your hypnotist is other than their website or brochure, you may have to assume you are their very first client! The professional hypnotist will be able to share with you media coverage from past interviews and accomplishments. These will provide a great glimpse into the personal character of your hypnotist. With little or no track record, you may be receiving the services of an amateur and may have to question their ability to help you succeed. To help spread awareness of hypnosis and do good in the community, Jason Linett performs stage hypnosis programs for dozens of high school fundraisers each year. A quick online search will show you dozens of newspaper articles from his past. 4.) 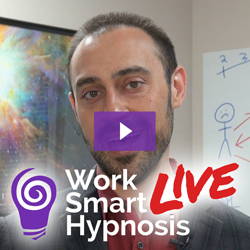 Does your hypnotist perform their own sessions live and in-person at a professional office? The experienced hypnotist knows that the most effective method of hypnosis is the live session. It’s true that clients can have success with a recorded session, but the success rate is exponentionally higher when your program is custom-designed to your needs. At Virginia Hypnosis, your sessions are handled professionally by a live, experienced hypnotist. Be cautious of the hypnotist that invites you to their office and only has you listen to a CD with headphones. Why bother when you could have done that at home? 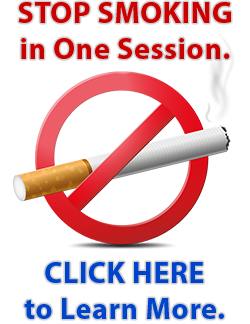 Virginia Hypnosis is also a professional 1200-square-foot training center for providing continuing hypnosis education to the local community. In which location would you feel the most comfortable? A professional office space or a stranger’s home? If you find the hypnotist is deficient in any of these areas, it is a sure sign they are not a full-time professional, and there may be cause for concern. Answering these five questions will help you select the best hypnotist. You will be more relaxed knowing you are obtaining the services of an experienced professional.